$115. 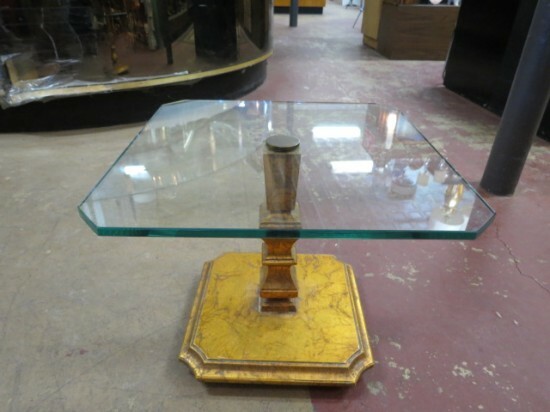 Vintage antique small gilded glass top occasional table, c. 1960. Square glass top with cut corners. Gold leaf pedestal base with ball feet. Put it anywhere. Makes a cute table for drinks. Very good condition. 18in wide, 15in tall.